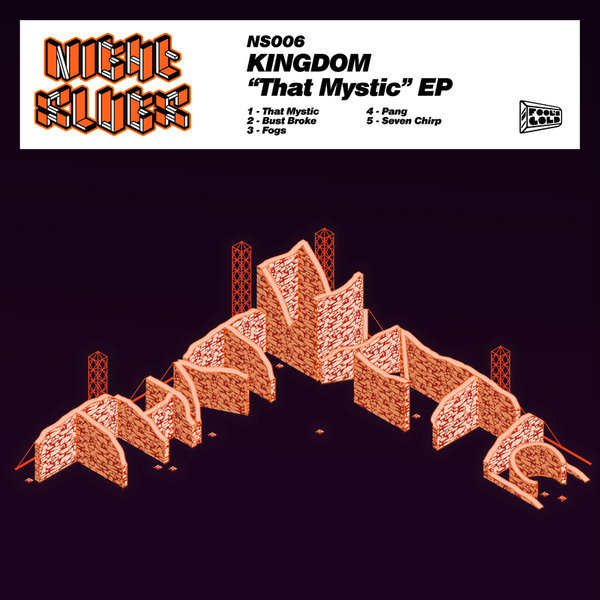 Kingdom reps his mutant NYC Funky style with a rugged mix of R'n'B spiced Heavy House soaked in underground club juice. It's his well poised combination of pop strokes and bulky basswise values that make Kingdom records a cherished commodity round these parts, giving an American accented, and stylishly brash take on Night Slugs' neon mongrel aesthetic. 'That Mystic' again nods towards the C*nty niche of voguing showdown tracks with bitchy snares rasps and welting bass kicks while 'Bust Broke' goes on a Bok Bok style bruk-up mission armed with soca dums and stinging Hardstyle swipes. Furthermore, 'Fog' comes off a Wiley beat augmented with nifty R'n'B vocals and 'Pang' rips out a skeletal halfstepper with swooping subs. We don't want to tongue the Night Slugs arseh*le any more, but this is f**king hot!! !